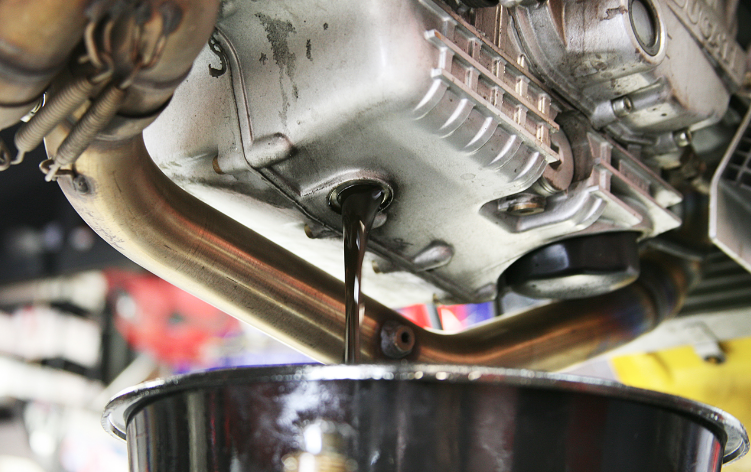 Before your next ride, get your Motor, Primary, & Transmission Oil changed! We offer this service for $150 (Harley models for this deal only), and it is recommended every few thousand miles. Preventative maintenance is the best way to make sure your Motorcycle stays where it belongs. On the Road! When you purchase select tires from us at the current retail price, we will install them for free. This offer is good for Dunlop D401 and Michelin Commander II Motorcycle Tires. Make sure a lack of confidence is not a variable when riding. Once you see your tires reach the level of the surface tread on your tire, it's time to replace them! Headkace Motorcycles recommends replacing your tires before the tread wear indicators begin to show. Loud Pipes Save Lives! Get 2-Into-1 Exhaust Systems from Fab 28, Two Brothers, Two Brothers, Bassani Xhaust, Cobra, or Vance and Hines and a Dyno Jet Fuel Management System. Vehicles w/ any modifications (Such as Exhaust or High-Flow Filters) must have fuel tuned to accommodate the change in air to the AFR. We have made packages for Harley Davidson Dyna and Sportster models. If you do not see your bike listed, Contact Us and we can put together a custom package for you. You pick your package and pay for parts only. Installation is Free if purchased at current full retail. Make your appointment with us today! Loud Pipes Save Lives! Get Slip-On Mufflers from Akrapovic, Yoshimura, Two Brothers, or Leo Vince and a Bazzaz Fuel Management System. Vehicles w/ any modifications (Such as Exhaust or High-Flow Filters) must have fuel tuned to accommodate the change in air to the AFR. We have made packages for select Suzuki, Honda, Kawasaki, Ducati, KTM, Yamaha, and Triumph models. If you do not see your bike listed, Contact Us and we can put together a custom package for you. You pick your package and pay for parts only. Installation is Free if purchased at current full retail. Make your appointment with us today! Our Adjustable Shock Package for Harley Davidson Dyna models includes the Premium Ride-Height Adjustable Shocks from Drag Specialties (Current Retail $269.95) and Installation for $300. Ride Height can be adjusted by +/- 1/2” of the size purchased. Available in Chrome and Black and comes in 3 different sizes (11” - 13”). Fits 97-17 FXD/FXDWG models. Our Fork Lowering Package for Harley Davidson Dyna models includes Complete Front-End Suspension Kits from Race Tech (Current Retail $274.95 - $284.95) and Installation for $500. 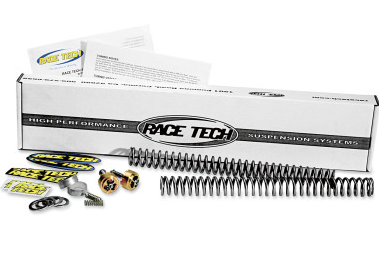 Race Tech Complete Front-End Suspension Kits improve comfort and performance of damping rod forks. More than just a fork lowering kit, these kits come with Gold Valve Cartridge Fork Emulators, High-Performance Springs, and hardware to lower bike 1” or 2”. We can also lower forks for select Harley Davidson Touring, Sportster, and Trike models. Additional charges may apply. Whether you’re racing Hooligan flat-track or just want more power, the S&S Hooligan kits for 2000-’19 Harley-Davidson Sportster models will give you an edge on the competition. Boost that 883 to 1200cc (or 1200cc to 1250cc). Bolt on big bore kits mean easy installation with no machining and no rebalancing. S&S bolt-in cams and premium tappets make the most of the added displacement. Our installation special includes retail price of parts and $300 in labor. Total cost to you is $1699.95. Some Restrictions Apply!